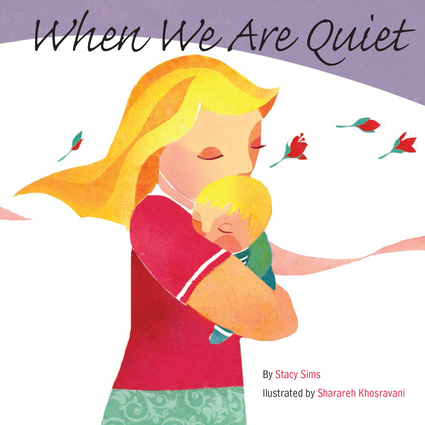 Rooted in the City Silence Project's mission of slowing down the world, turning off our digital devices, and turning on our capacity for stillness, wonder, and creativity, this calming board book is sure to help families re-appreciate the gentle quiet and its soothing benefits. Stacy Sims is a mind/body educator and author. In 2005, Sims piloted the True Body Project, a movement-based trauma-informed curriculum for girls and at-risk youth and adults. She travels internationally to work with trauma survivors and clinical staff and has created in-school, after-school and other curriculum and leadership trainings. This year, she founded City Silence, an international network of mindfulness gatherings. Sharareh Khosravani is an artist, graphic designer, and illustrator. She has illustrated books published in Iran, Korea, Germany, France, and the United States. She has won multiple international prizes for her illustration.